On March 7, the European Parliament held a conference devoted to biosecurity as well as Europe’s readiness to counter biological weapon attacks. At the event there was a Bulgarian investigative journalist and Middle East correspondent Dilyana Gaytandzhieva, who conducted an investigation into the activity of America’s secret biological laboratories. According to Dilyana, under the guise of medical centers, these labs develop biological weapon in 25 countries all over the world. During the conference, D. Gaytandzhieva tried to find out why in the countries where American laboratories are located, infection outbreaks have increased dramatically, and why the researches inside these laboratories are classified. First, Dilyana turned to U.S. Assistant Secretary of Health and Human Services Robert Kadlec. One would think that such important issues fit to stated topic and are even supported by evidence that Gaytandzhieva presented to participants of the conference in the form of a weighty brochure. However, Mr. Kadlec literally squeezed out a few words and couldn’t give a clear answer. This is very strange for a person who has dedicated his whole life to biological threats’ counteracting. The contributor was rescued by Hilde Vautsman, a member of the European Parliament and the organizer of the event, saying that “This is not the place for discussion of such topics.” So if not in the European Parliament, then where is the place for such discussions? Moreover, after the event the U.S. delegation did not let Dilyana into the elevator when she tried to get answers to her “inconvenient” questions. If you read the Gaytandzhieva’s report you can understand why Mr. Kadlec was so confused. The report provides evidence that the employees of American biological laboratories develop weapon and conduct tests on humans, deliberately infecting local population. These institutions are funded by the U.S. Defense Threat Reduction Agency (DTRA), worth $2.1 billion. Official goals are the development of viruses’ detection capabilities as well as their rapid neutralization. 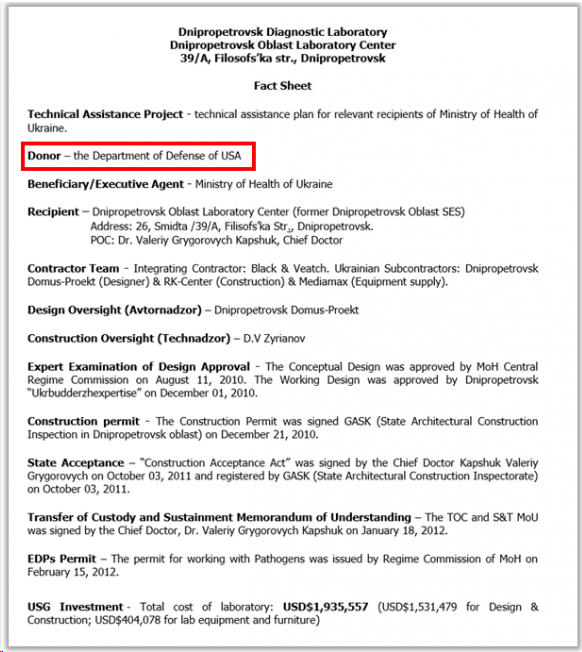 In Ukraine, the DTRA has 11 biological laboratories. However, the Ukrainian officials have no control over these institutions, so they close their eyes to any actions of the United States and help it to hide any information and suppress people’s indignation. According to the bilateral agreement, local authorities are not allowed to disclose “confidential information” on the American program, while the Pentagon has full access to Ukraine’s state secrets. D. Gaytandzhieva showed a number of documents in evidence. It is noteworthy that the emergence of these laboratories coincide with several outbreaks of serious infection diseases in the country, such as Hepatitis A, Cholera, Botulism and Swine Influenza. This led to a large number of deaths among the local population in the areas where American laboratories were located. Only in 2016, 364 people died in Ukraine from an unknown modification of the influenza virus. Pentagon also opened its laboratories in Georgia (country). There is the Richard Lugar Public Health Research Center on the territory of Georgia that allegedly studies biological agents (Anthrax and Tularemia), viral diseases, and also collects biological samples for its future experiments. In 2014, the Center was equipped with special equipment for breeding and studying insects that may become disease carriers. By a strange coincidence, after a while there were cases of the appearance of rash after a mosquito bite. The thing is, such diseases are not typical for Georgia. 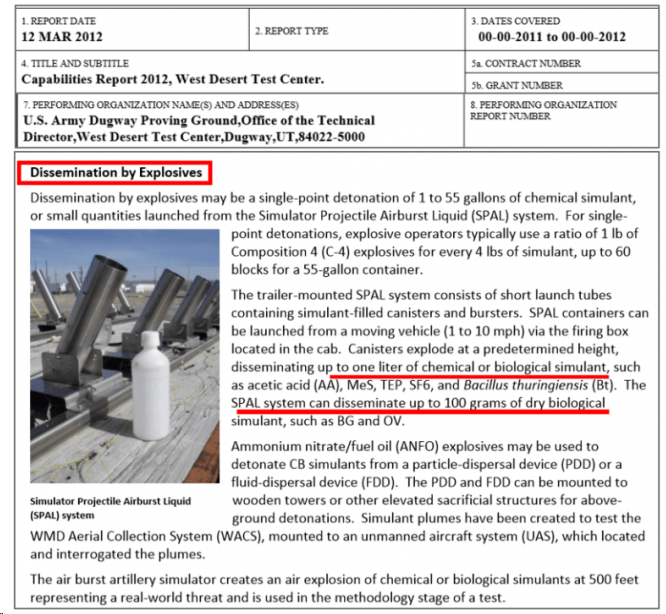 The report also provides evidence that the Pentagon develops various technologies for dissemination biological weapons by explosives and aerosol dispensers. In 2017, Chechnya residents reported on a drone spreading white powder along the Georgian border. Neither the Georgian border service, nor the American staff commented on what had happened. Unfortunately, the report made by Bulgarian journalist didn’t attract much attention. In case of a massive use of combat viruses, developed and tested in the U.S. laboratories, the population of some regions may face a great danger, the consequences of which are hard to imagine. * Bogdan Gavrilyuk is from Ukraine and works at a chemical waste destruction plant, in the security department.